There is a lot to know as a new parent, but there is little as important as protecting the health of your newborn. Shoulder dystocia is a type of birth injury that can have serious health effects for your child. Shoulder dystocia is considered an obstetric emergency that requires quick medical attention to avoid serious complications such as erb’s palsy and other brachial plexus injuries. A brachial plexus injury occurs when the nerves that send signals to the arm, shoulder, or hand are hurt. While some brachial plexus injuries are minor and heal on their own, other brachial plexus injuries are significant and require emergency medical treatment. If your child has had a difficult birth whether from a prolonged labor, a breech delivery or getting stuck in the birth canal and there are signs that the baby has suffered a brachial plexus injury then the pediatric medical team should evaluate the injury by conducting various tests to determine how the child is effected by the injury and what brachial plexus treatment is necessary. In addition to injuries such as Erb’s palsy that can happen during birth, there are also some preventable congenital birth defects that can happen. For example, newborn cleft lip causes are not always known, but use of certain medications such as Zofran and Topamax during pregnancy have been linked to an increased risk of cleft lip and palate. While these injuries may not be tied to medical malpractice, negligence on the part of the drug manufacturer may give parents grounds to file a lawsuit. When Do Parents Notice Erb’s Palsy? Little or no movement in the arm or hand. If you notice any of these erb’s palsy symptoms in your child, then it is important to get prompt medical treatment for your child. What’s The Difference Between Cerebral And Erb’s Palsy? Cerebral palsy and erb’s palsy are not the same conditions. Typically, when cerebral palsy is the result of a birth injury it occurs because the baby suffers a lack of oxygen at birth. Erb’s palsy usually results from a difficult birth where the baby has trouble moving down or out of the birth canal and the nerves in the arm are injured. Cerebral palsy and Erb’s palsy are not caused in the same way and they are not the same conditions. There are many types of cerebral palsy, all of which effect gross motor development. Erb’s palsy is specific to the shoulder, arm and/or hand of the patient. How Long Does Erb’s Palsy Treatment Last? The length of treatment for erb’s palsy depends on the severity of the condition and the recommended treatment. Many erb’s palsy patients who do not respond to physical and occupational therapy require surgery. After surgery, additional physical and occupational therapy will be required. Often, occupational therapy and physical therapy treatment continues for years. Erb’s palsy treatment can be expensive and painful. 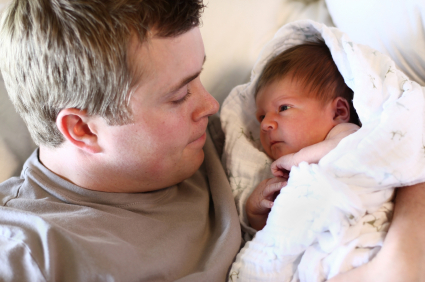 If your child has suffered erb’s palsy as a result of shoulder dystocia or another birth injury then it is important to contact an Erb’s palsy lawyer for more information about your rights.